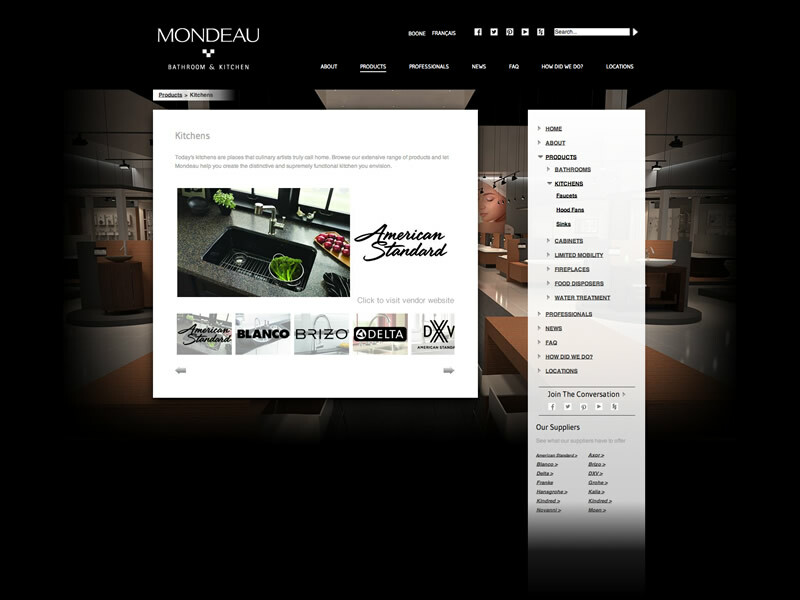 Mondeau is an upscale Bathroom & Kitchen products website featuring premium products from around the world. 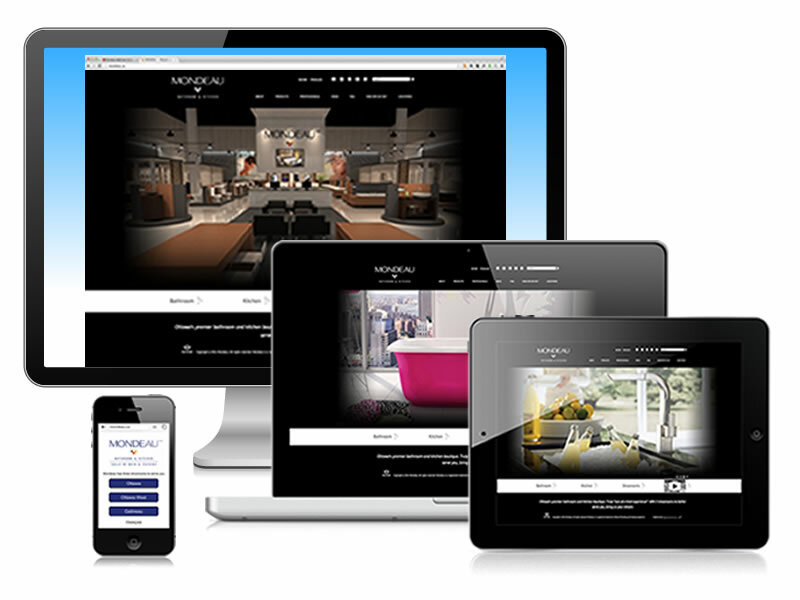 Smart website tactics are deployed to bring leads and create new business for the company. There is a clever vendor referral program bringing benefits to both their clients and their vendors integrated into the website. 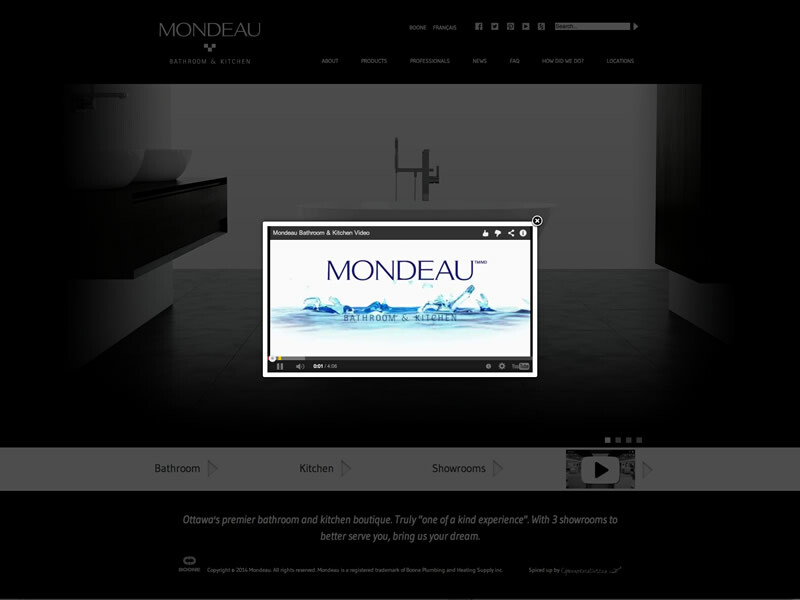 Clicking the video icon displayed on the white menu bar pops up a video which streams from Mondeau's YouTube Channel. Streaming from YouTube saves bandwidth on the client server. YouTube also takes care of the video format for all different browsers and operating systems. 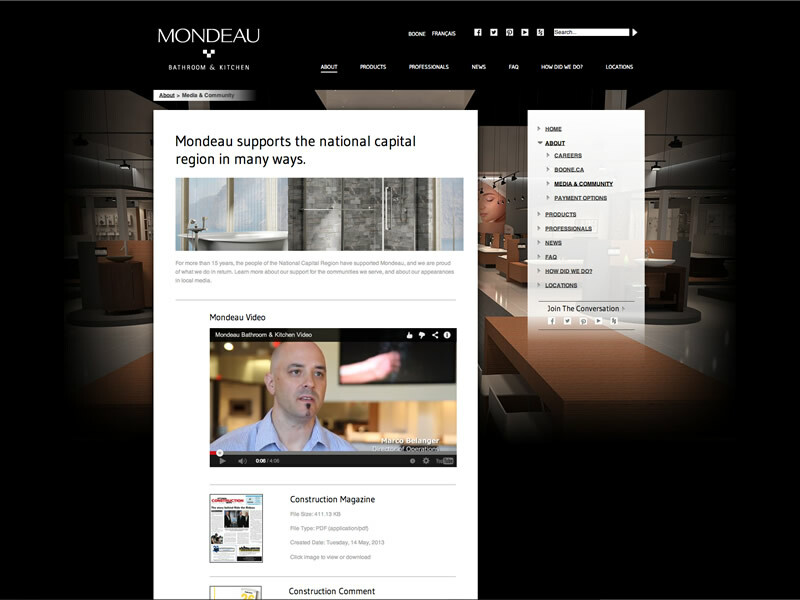 Job opportunities for Mondeau are made available in articles on the website. Application forms are linked to the job descriptions. Once the application is submitted it is delivered via email to the appropriate person inside the company. The company often appears in publications and other various advertising campaigns. These are compiled on their media page. Since we are using a content management system all types of media can be stored and viewed on the site including images, video, audio, PDF files, Word documents, PowerPoint Presentations, etc. When switching to individual product categories the menu of suppliers change to display only those in that specific category. 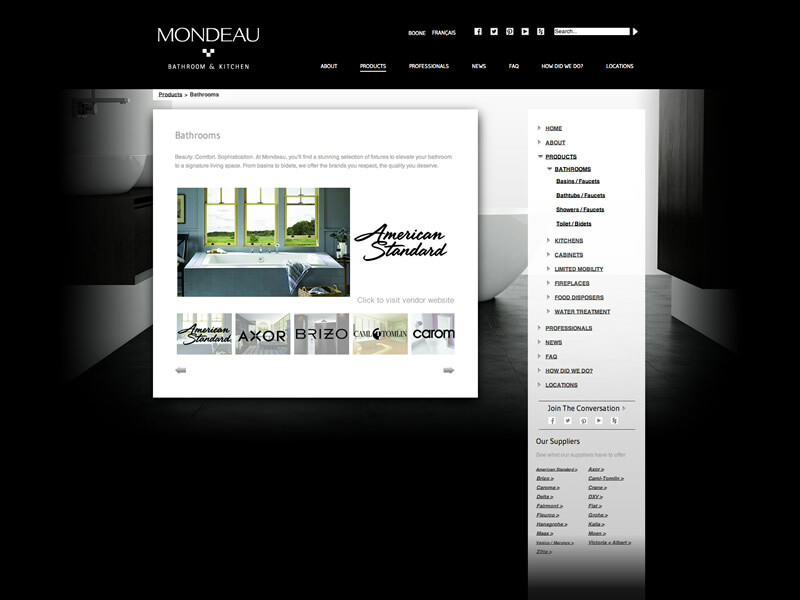 A gallery of images is shown with a each supplier and their brand logo. 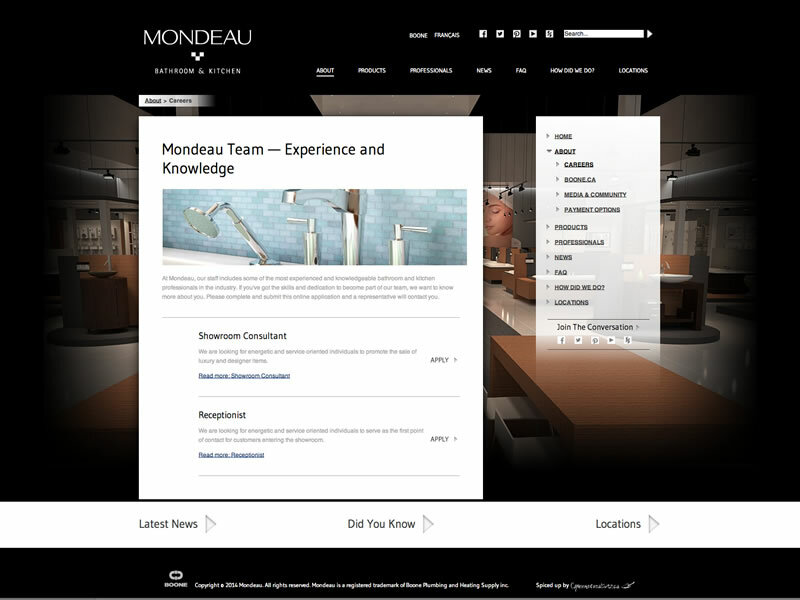 Clicking on either the company logo or the supplier menu item presents you with their company website displayed inside the Mondeau website. 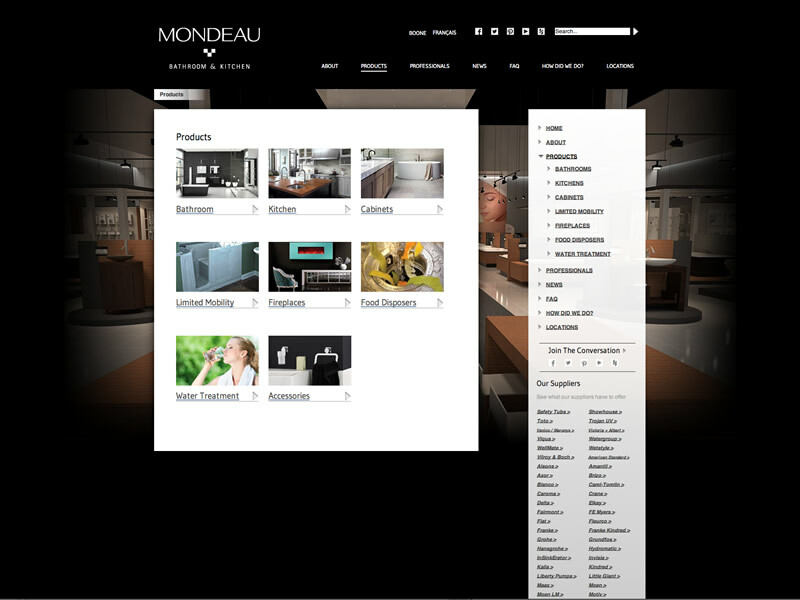 Here you can see that selecting a different product category (Kitchens) changes the photo gallery of images. All the of menu items change as well to reflect the new product category that you are viewing. 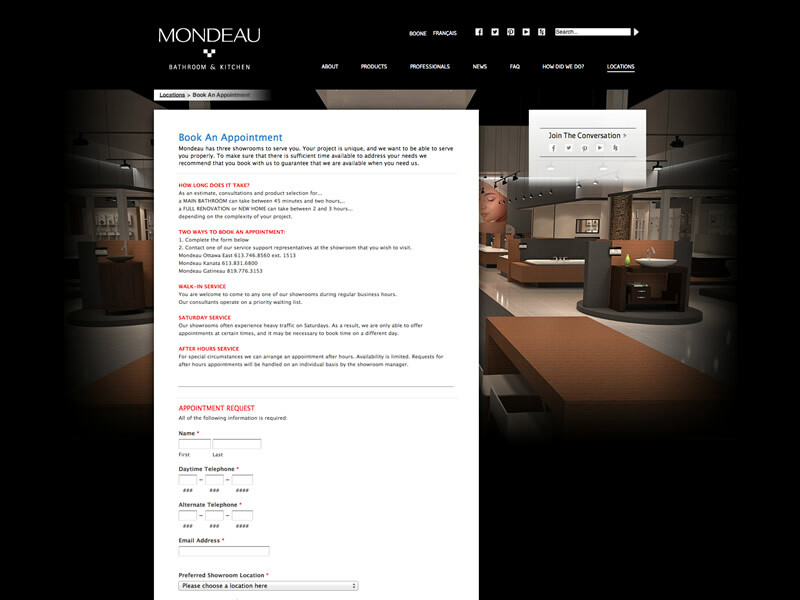 Notifications are sent to contacts in the store where clients schedule appointments. 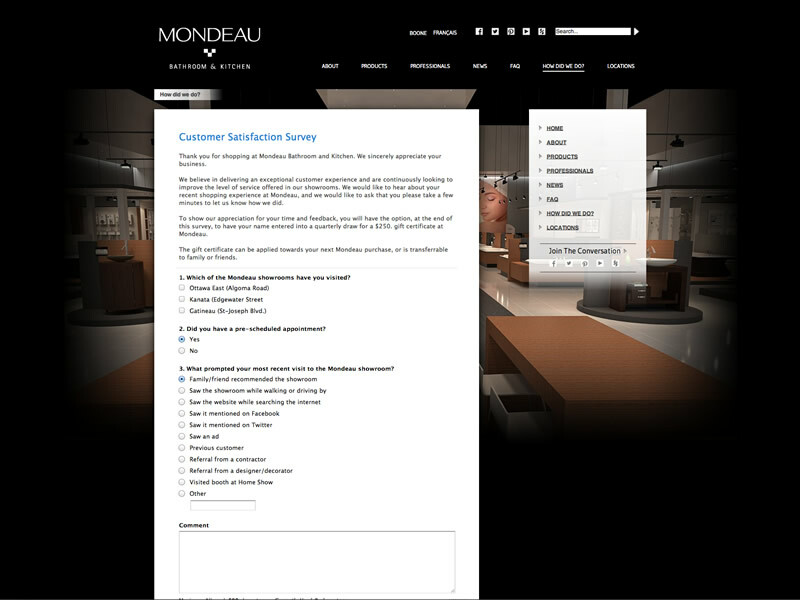 Showroom consultants are ready for their clients when they come in. 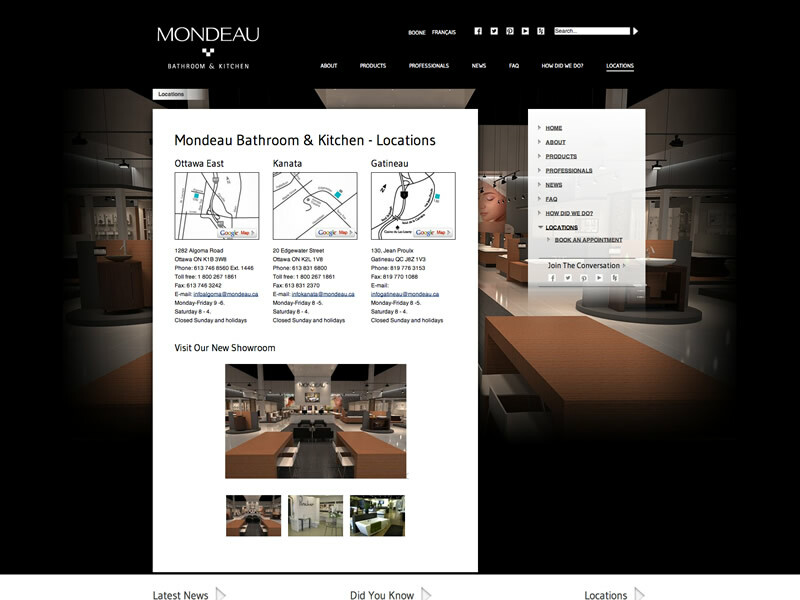 Google Maps are the easiest way to get directions to the showroom. Simply clicking on the location you want to visit brings up the map.